Who is Arts for Lawrence? Arts for Lawrence (AFL) connects arts and community to inspire everyone every day. 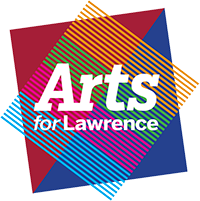 Founded in 2006, Arts for Lawrence is the largest professional arts non- profit organization in the City of Lawrence. Arts for Lawrence is an organization that advocates for the need and importance of a thriving arts scene; supports programming and education initiatives in the visual, performing and literary arts; and connects artists, arts organizations and resources to maximize opportunities for everyone to experience the arts. Arts for Lawrence operates a singular performance space, the Theater at the Fort located at the historic Fort Benjamin Harrison. As steward of Theater at the Fort, Arts for Lawrence maintains a comprehensive programming schedule featuring hundreds of events, performances and exhibitions in the City of Lawrence. Arts for Lawrence signature programming initiatives and events include the Holiday Home Tour, Patrons’ Party, Toast the Arts, Fridays at the Fort, Children’s Theatre Festival, Fiesta Latina De Lawrence and Summer Art Camp. We invite you to attend any and all of our visual, performing or literary arts initiatives. Make sure to bookmark our calendar to keep up with our upcoming events.